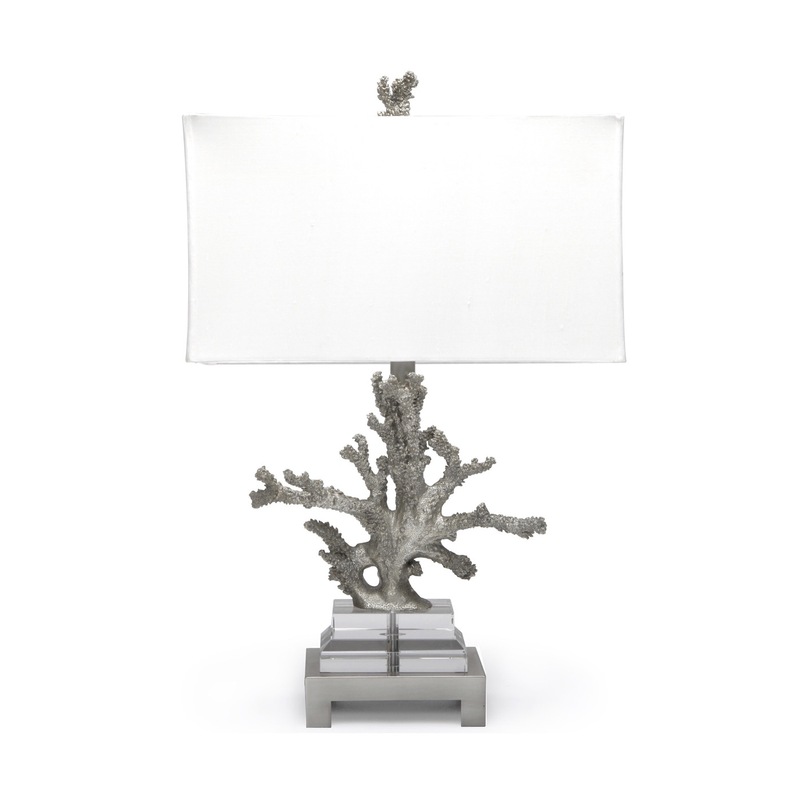 Inspired by coral's glimmering beauty, this painted metal table lamp brings light and luxury to any room. 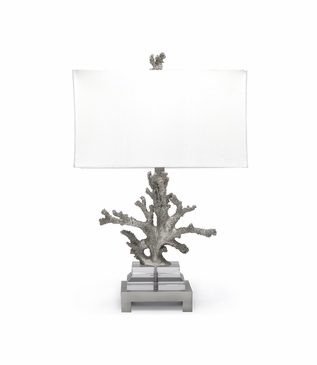 Stands atop a stacked metal and acrylic base. 1-60W maximum, 3-way socket.